Aerospace manufacturing continues to grow rapidly in North America, with many aerospace suppliers working at capacity and building up a substantial backlog of aircraft orders in the process. With this in mind, Makino has established a new process development group to help satisfy growing production demands for newer, more fuel efficient jet-engine technologies. Composed of highly specialized engineers with decades of experience in aircraft engine manufacturing, this group’s goal is to help customers meet demands for increased production efficiency and quality. 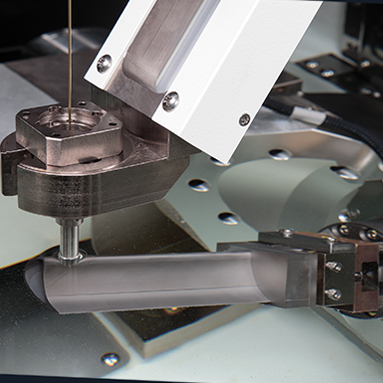 Makino’s Aerospace Engine Technology Group supports the grinding, EDMing and machining of exotic aerospace alloys specifically for the jet-engine market. The group’s expertise encompasses a full range of innovative aircraft engine manufacturing solutions, including the machines, processes and engineering solutions necessary to produce complex jet engine and turbo machinery components with the highest quality, greatest throughput and lowest cost per part. 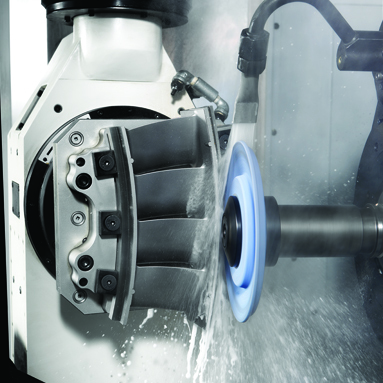 In coordinating its projects, the Aerospace Engine Technology Group employs grinding, 5-axis milling and EDM processes using innovative machine technologies such as the G Series 5-axis horizontal machining and grinding center, and the new EDBV-Series EDM machines designed specifically for the production of cooling holes and diffuser shapes in turbine blades and vane segments.